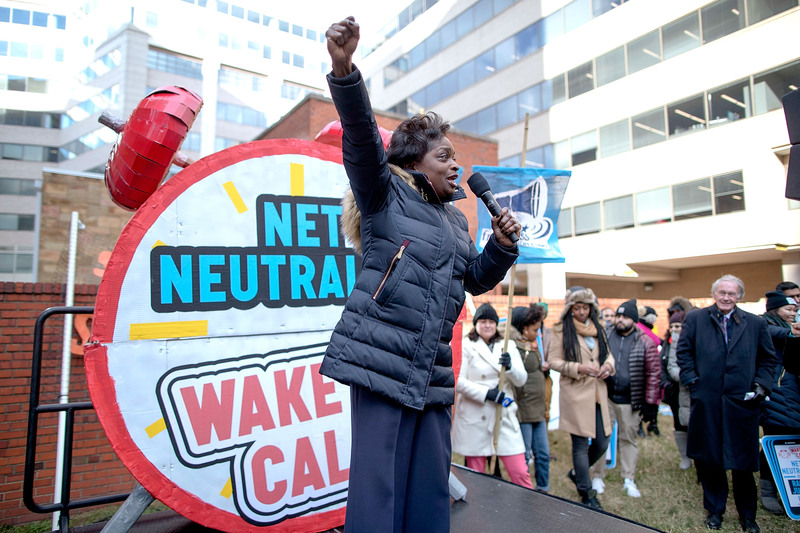 Twenty-one states and the District of Columbia today kicked off a lawsuit to overturn the Federal Communications Commission's repeal of net neutrality rules. The states suing the FCC are New York, California, Connecticut, Delaware, Hawaii, Illinois, Iowa, Kentucky, Maine, Maryland, Massachusetts, Minnesota, Mississippi, New Mexico, North Carolina, Oregon, Pennsylvania, Rhode Island, Vermont, Virginia, and Washington. All of the states suing the FCC have Democratic state attorneys general. Republican state attorneys general did not join the petition. "The petition is the first step by states to attempt to block the FCC’s decision, and it will allow the attorneys general to move forward with the appeal in the future," said an announcement from Washington State Attorney General Bog Ferguson. The FCC voted on December 14 to deregulate the broadband industry, remove net neutrality rules, and to prevent states from issuing their own, similar rules. The rules prohibited ISPs from blocking and throttling Internet traffic, and from prioritizing traffic in exchange for payment. "Allowing powerful special interests to act as the Internet's gatekeepers harms consumers, innovation and small businesses," Ferguson said. "We believe the FCC acted unlawfully when it gutted net neutrality, and I look forward to holding the FCC accountable to the rule of law." The states filed a "protective petition for review," which essentially reserves them a spot in court challenges against the FCC. The petition was filed in the US Court of Appeals for the District of Columbia Circuit. There is a 10-day window for filing lawsuits, but it's not always clear whether the deadline applies to the 10 business days after the FCC publishes an order on its website or to the 10 days after the order is published in the Federal Register. The FCC released the final version of its net neutrality repeal order on January 4, but it hasn't yet been published in the Federal Register. The 21 states and Washington, DC will likely file another petition for review after the Federal Register publication, but the one today ensures that they will be involved in the lawsuit. If petitions are filed in multiple appeals courts, there would be a lottery to determine where it will be heard. Previous cases on FCC net neutrality rules have been decided in the District of Columbia Circuit. Legislators in some of these states have proposed legislation to enforce net neutrality. Today's petition doesn't outline the states' full arguments, but says the repeal "is arbitrary, capricious, and an abuse of discretion within the meaning of the Administrative Procedure Act; violates federal law, including, but not limited to, the Constitution, the Communications Act of 1934, as amended, and FCC regulations promulgated thereunder; conflicts with the notice-and‐comment rulemaking requirements of 5 U.S.C. § 553; and is otherwise contrary to law." The case could easily take at least a year to be decided. FCC net neutrality rules enacted in February 2015 were upheld in appeals court in June 2016. Before that, rules enacted in December 2010 were struck down in January 2014.